The image that led me to Arizona! The ball really started moving for me after I sent a song which had taken less than 2 hours to write and record to a local radio station. Household Honey had lay in the house for almost a year before I finally decided to do something with it. Almost the entire family were sick of humming the clarinet solo, therefore it was agreed that I send her off. I was never expecting to hear the song ever again, but after being picked up by the late Gerry Anderson on Radio Ulster/Foyle, everything just went completely hay-wire. According to the radio station’s producer – ‘they had never heard or seen anything like it. The phone lines were jammed with callers’. It got so crazy that they actually announced on air for me to contact the station so they could find out more. Everyone was asking where they could buy it, who was this guy who had come from nowhere, and could they please play it again? Having not expected much – maybe a few plays here and there; I quickly realised I needed to full-fill the demand from the general public to get their hands on my music. Going from nothing I had to learn ‘very’ quickly how to put an EP together – artwork, copyright, distribution, advertising, promotion, not to mention actually getting the physical cds made. 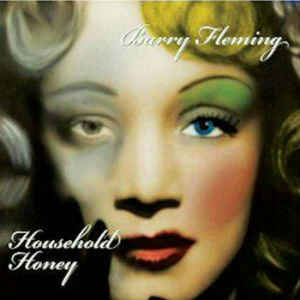 While I was putting the Household Honey EP together, I stumbled across an image that would become the front cover. It matched the song, fitted the genre and I just knew it was the ‘one’. I remember halting everything until I did what I had to do in getting the picture. I mentioned earlier that ‘Household’ took around 2 hours to write and record – however, seeking permission to use the image I wanted on the front led me to Arizona and it’s copyright owner, a Mr Peter Riva. I lost track of how many emails I sent requesting permission to use the image for the front of the EP, but after considerable questioning from Mr Riva with regards ‘what’ & ‘who’ the song was about – as well as demanding to see lyrics and final imaging, I was delighted to be granted permission! Household Honey – along with a Household Honey euro-mix version and three other tracks I’d previously written, was about to be unleashed. A question that was asked often back then was ‘who is the face on the front of the EP’? I’ve heard some great and funny ideas but I’m saying nothing. The song is not related to her or her life in any way but by all means feel free to email me with any suggestions. The video for Household Honey came about after another producer working at the BBC sent me an email asking if I’d be interested in taking part in a showcase to be televised in a few months time. Household was being requested on a daily basis, other radio stations had now come on board, and I’d been doing some interviews for radio and local newspapers; so naturally I said ‘yes’. They say ‘it’s a small world’ and it certainly was for me. The band I eventually used on the night were put together by my friend Desy McKevitt (who also played drums on the video); my bass player was Mark who had been working on graphics for my first website; Michael on guitar had been helping me with some tracks for the Rainbow Run album I’d been working on; Jarlath on clarinet, Peter on piano, and the lovely Bronnagh on fiddle were friends of Desy and made up the band. We only met up beforehand once or twice for maybe an hour or two – did our bits, then went on telly! As you do. A great bunch of people and amazing musicians each and every one. They did me proud.